The Level 2 Basic Equestrian First Aid at Work course is aimed at any horse rider to learn basic first aid skills to keep them safe. Horse riding can present different danger and the course covers most injuries and illnesses that you are likely to come across. 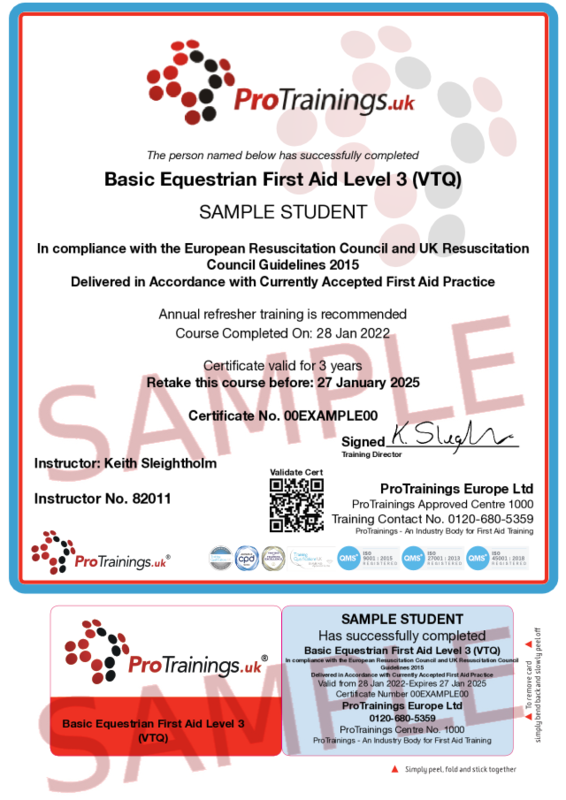 We also have a 3 day Equestrian First Aid at Work (HSE approved) for those who need a higher qualification to meet the BHS requirements. Subject to numbers the course can be run at your premises.